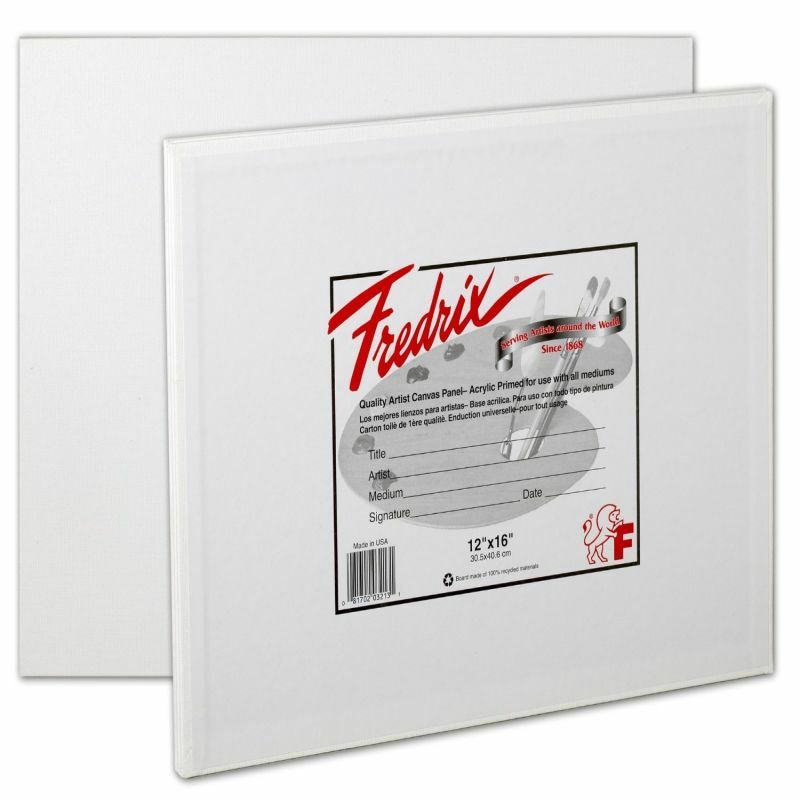 Fredrix Canvas Panels are great for students. The surface texture provides a very definite paint-gripping tooth with minimum paint absorption, a perfect support for painting in all media. The sides are completely turned under and glued to prevent fraying and separation. The entire area of canvas is firmly glued to the board. The sizing is acid free.